The WhisperFlo's innovative hydraulic design offers the highest water flow of any high-performance pump—yet with the lowest electricity consumption. 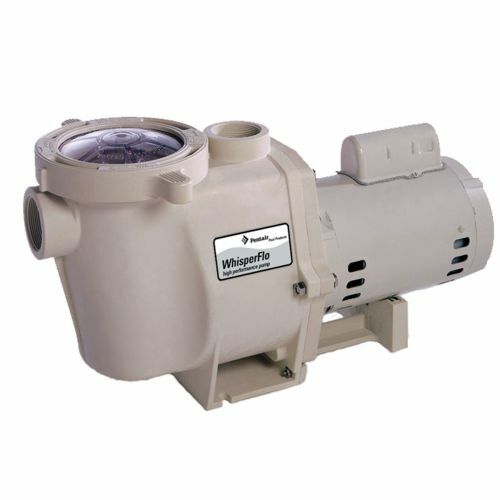 The WhisperFlo High Performance Pump is built to last, with an engineered thermoplastic housing and robust motor components. Unique design features make this pump easy to monitor and clean. IMPORTANT NOTE: Pumps and replacement motors that are single speed and one (1) HP or greater cannot be sold, offered for sale, or installed in a residential pool for filtration use in California, Title 20 CCR sections 1601-1609.